Investment Mindset Bootcamp. Stop Gambling. Start Accumulating Long Term Wealth. Step 5. Step 5. Defining The Most Important Investment Assessment Metrics. In step 4 compelling evidence suggested that higher long term returns over the full economic cycle do not necessarily require higher levels of risk taking for asset portfolios. Instead, containing risk and allocating more effectively with lower risk may produce higher long term returns. 1.Standard approaches to risk and allocation are sub optimal at best and potentially dangerous to investors. Allocation decisions and discussions are severely compromised with flawed concepts and sub optimal execution. 2.Many investors may end up with higher risk portfolios than they need and suboptimal long term performance. 3.Many investors are not using the best metrics to measure their performance. And tend to focus too much on the sole use of returns, which has been shown to be unreliable and highly dangerous. 4.Focusing on 2 different metrics transforms the outlook. Lowering risk and making allocation more efficient, and aligns with the practice of the most successful investors of recent decades. 1.Examples of how this works in practice are shown with backtests showing over 40 years of data. 2.These new metrics transform the efficiency of long term returns while LOWERING risk and volatility. 3. Lower risk and more consistent returns on a persistent basis also provides a more stable platform for financial plans. 4. Lower risk and more consistent returns also takes considerable stress away from financial concerns and so supports a better lifestyle. It is time to come up with a better structure for a more soundly based allocation approach. The quotes at the top of this article from some of the world’s most successful investors, outlines what they believe are the key investment metrics and principles, and it resonates with the findings in step 4! It is very clear that the most successful investors regard risk as a higher priority than return. This aligns with our findings in step 4 as containing risk is not only necessary to protect capital, but it also plays a part in achieving high long term returns. So the investment priorities need to be changed, and in fact moved away from a sole focus on returns. The first key point is that major losses of capital can have a life changing effect on investors. Nothing is worse. So avoiding losses is the first priority above everything else. Then in addition, as shown in step 4, short term losses can be devastating to long term compounding returns. It can be very difficult to regain long term returns. The higher the risk taking, the more likely a short term loss will happen sooner or later, which makes catching up with consistent compounding very demanding. So it is far from clear that high risk means high long term returns. Most people only have finite capital, but over time opportunity is unlimited. Unless capital is preserved, most people will not have the capital to take advantage of the unlimited opportunities over our lifetime. In my opinion, investment managers should be recognized for not only preserving capital, but also for managing risk efficiently. The ability of the manager to use risk efficiently is key not just to producing returns, but also to avoid violating the risk priority above. Then all risk taking can be complementary to the low risk priority above and the investor can see how effectively the capital is managed. Then the manager is focused on finding high reward low risk opportunities, which is of better value to the investor, and, in the view of our Step 4 findings, a key component in achieving long term returns. In fact, as shown in Step 4, there were some approaches where returns increased even as risk was reduced! 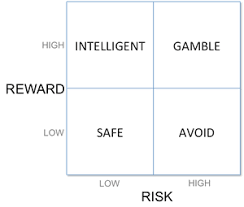 The 4 quadrant table below describes broadly how risk and return combinations may be better for the investor by adopting these metrics. Here is my key Point! 1.A system that attempts to maximise risk level and then allocate to that maximised risk level will tend to shift a portfolio to the High Risk part of the grid above. As a consequence the portfolio will contain a much higher percentage of “Avoid” or “Gamble” categories. Yes, this is higher risk, but the worst kind of risk, and it puts the investor into suboptimal risk categories and even significant jeopardy as regards long term returns! 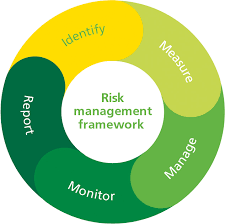 2.A system that, on the other hand, measures and incentivizes risk management both in terms of capital security and return to risk metrics, will instead stay rigidly in the low risk category, which is the safest and most efficient area for investment management, return to risk. “Safe” and “Intelligent” investments are consistently the sole focus. 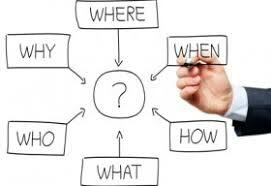 Simply put, if investors want less “Avoid” and “Gamble” Investments, and more “Safe” and “Intelligent” investments they should demand the following from their manager or advisor. 1.Constant access to a risk metric for their portfolio. 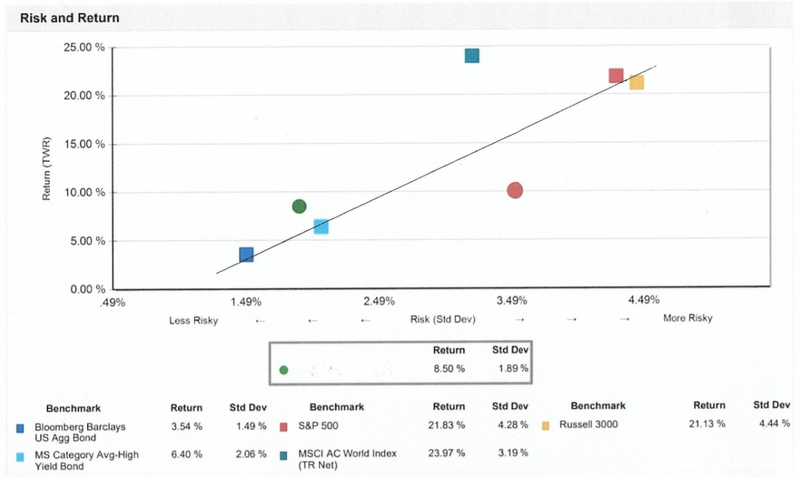 2.Constant access to a return to risk metric for their portfolio. Risk is far more complicated than a single number that remains stable over time. Linear thinking assumptions between risk and long term return, at minimum need examination and review. Risk is the most important consideration in investing and only through monitoring and measuring can investors really get a handle on it. Make sure you are aligned with the risk in your portfolio with measuring and monitoring. Then most portfolio approaches load a portfolio to meet the risk level assigned from financial planning. Often allocation is made regardless of level or timing, and a portfolio is loaded with the objective of meeting the designated risk. 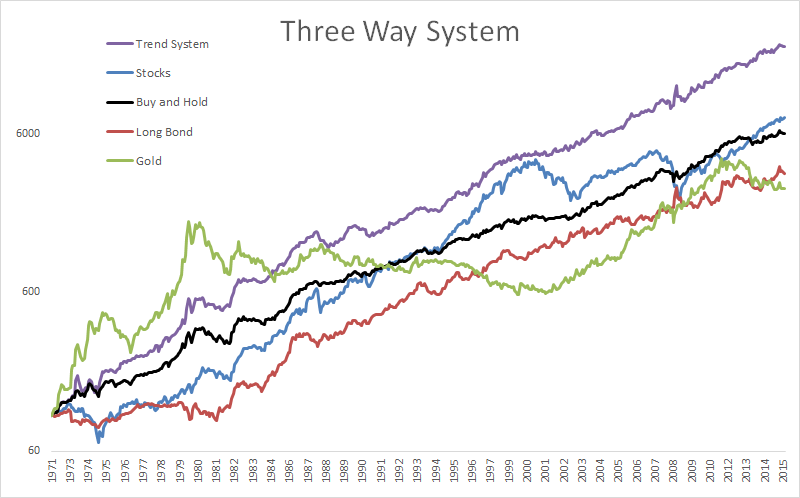 Clients tend to believe they want a high risk standing, because ultimately, in this chain of linear and flawed thinking, this means higher returns. So they buy in to this concept, but beyond financial planning risk concepts, risk is rarely measured or analyzed according to the 2 most important investment metrics in the actual portfolio! If these metrics are not measured or provided by the manager, clients often do not even have any tools for measuring any form of risk in their own portfolio. Even though risk, and return to risk are by far the most important metrics! A manager or advisor that believes that high risk equals high long term return may be unaware of the simple and essential math of investing discussed in step 4, or the investment priorities of the most successful investors. As a result risk is emphasized; not contained or optimized, as discussed above. Once new metrics have been adopted, here is an example of a more useful discussion and analysis of your investment portfolio. Does low risk high long term return investing really exist? In addition to the examples shown in step 4, it can be shown that low risk, high return/risk approaches do in fact exist according to backtests covering over 40 year periods. The links are provided here without any further comment. This analysis provides a starting point for further research and improvement in investment techniques and metrics. Any financial plan is more secure when asset values have less volatility and returns are more consistently positive. So there are significant benefits to being able to produce more reliable and consistent positive returns. The whole financial planning structure is on a more stable investment platform which leads to more reliable execution of any financial plan. 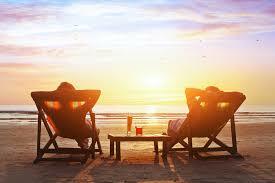 There are also considerable benefits to lower stress and concern from a more secure and stable investment platform. Knowledge that the investment techniques are more secure and reliable can cause considerable relief. Changing the way you view investing is not always easy. 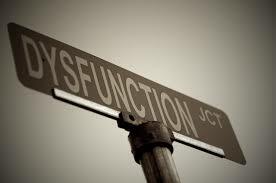 Habits are powerful and system 1 brain function (referred to in Step 2) can always attract investors in different and often unproductive directions as regards their finances. However, the changes discussed here are simple to implement and I believe the benefits should be clear and compelling. Adopting a new investment mindset will hopefully be a relatively easy transition. All investors need to do is demand the right metrics and monitor their investments in a different way. A mindset change aligned with the most successful investment managers of recent decades can provide relief from what I believe is a suboptimal and potentially dangerous process, and transform their outlook in a more peaceful, secure, and more prosperous direction.